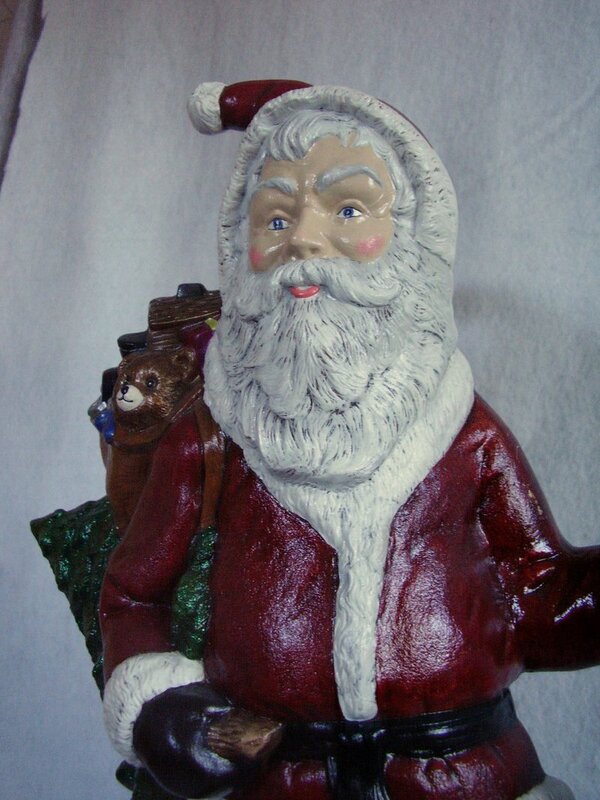 Gorgeous large ceramic Father Christmas or Santa statue or figure. 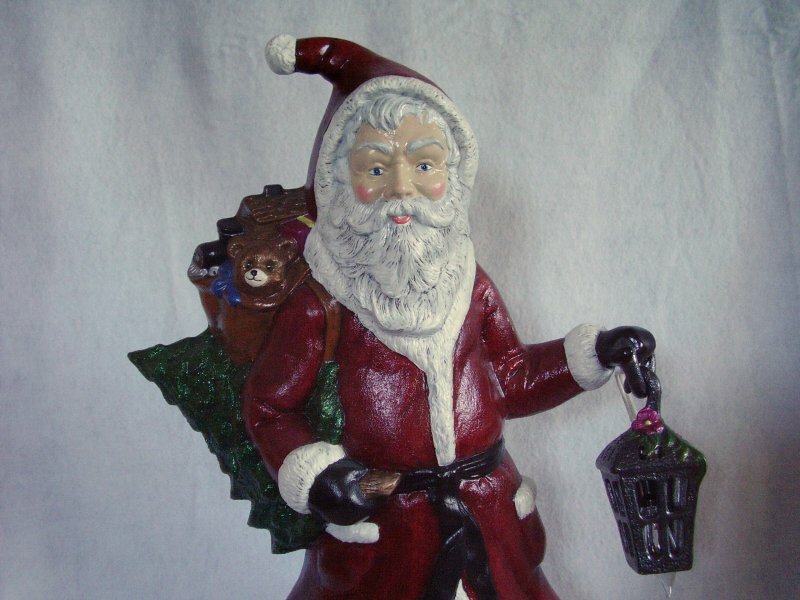 Handsomely painted in a burgundy red jacket with white trim, he carries a sparkly green Christmas tree and a bag of toys. 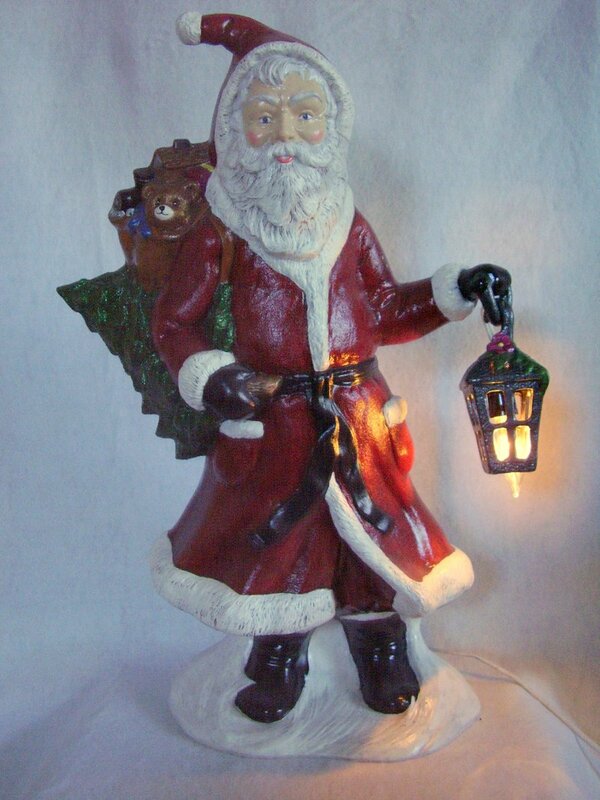 In his left hand, there is a removable lantern that can be illuminated. 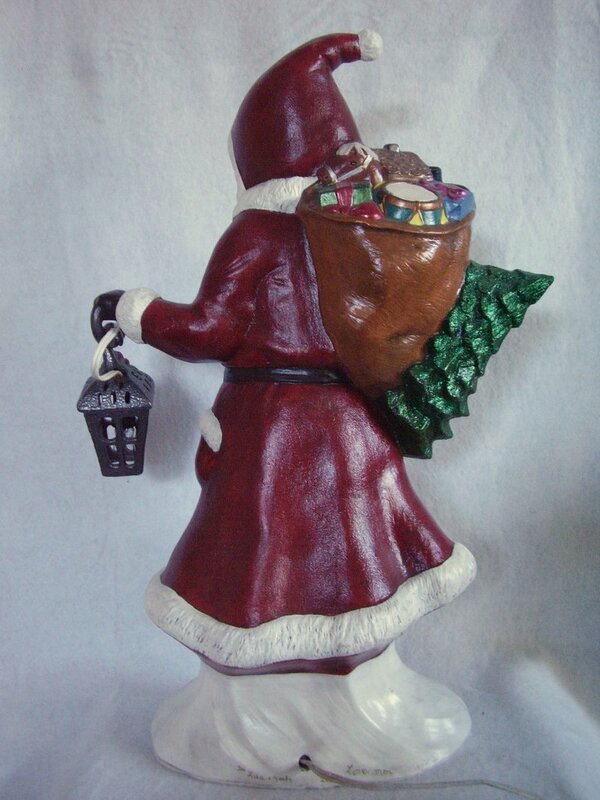 Gorgeous large ceramic Father Christmas or Santa statue or figure. 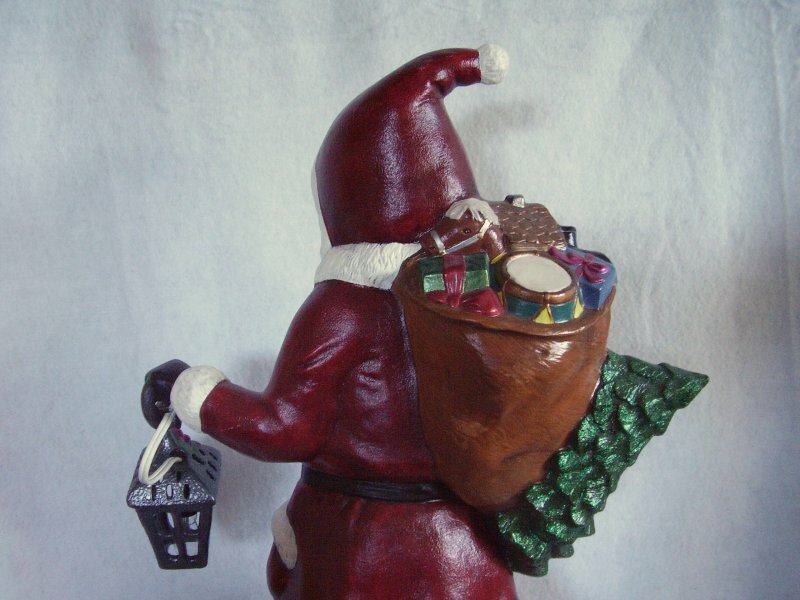 Handsomely painted in a burgundy red jacket with white trim, he carries a sparkly green Christmas tree and a bag of toys. 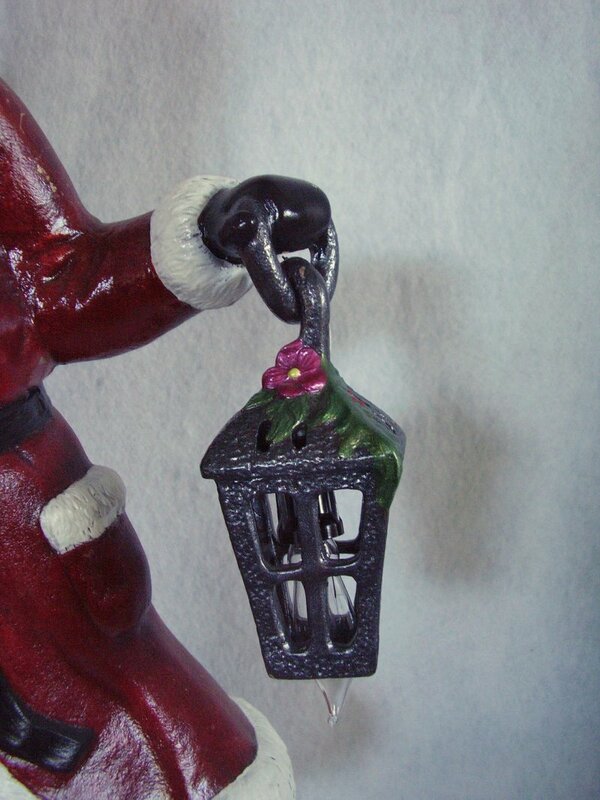 In his left hand, there is a removable lantern that can be illuminated. 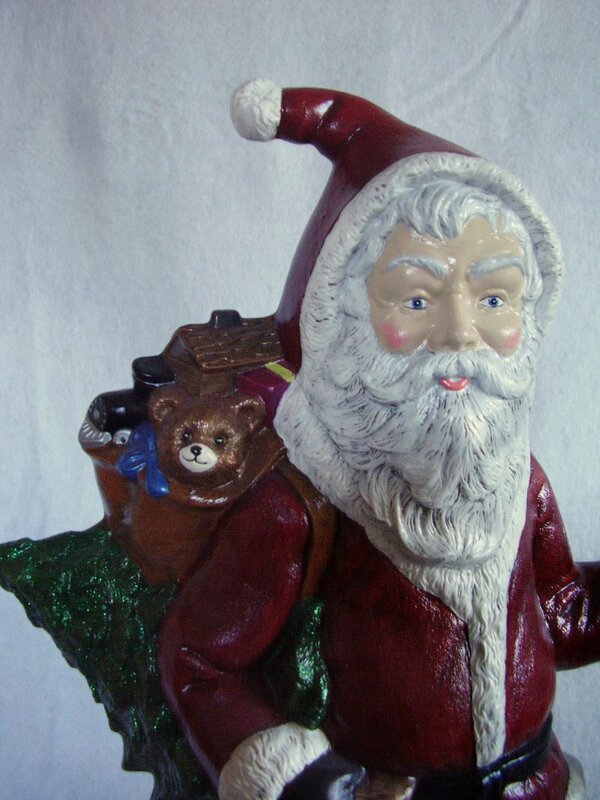 Santa has a 7 foot cord with an inline switch. Comes with a C7 light bulb. 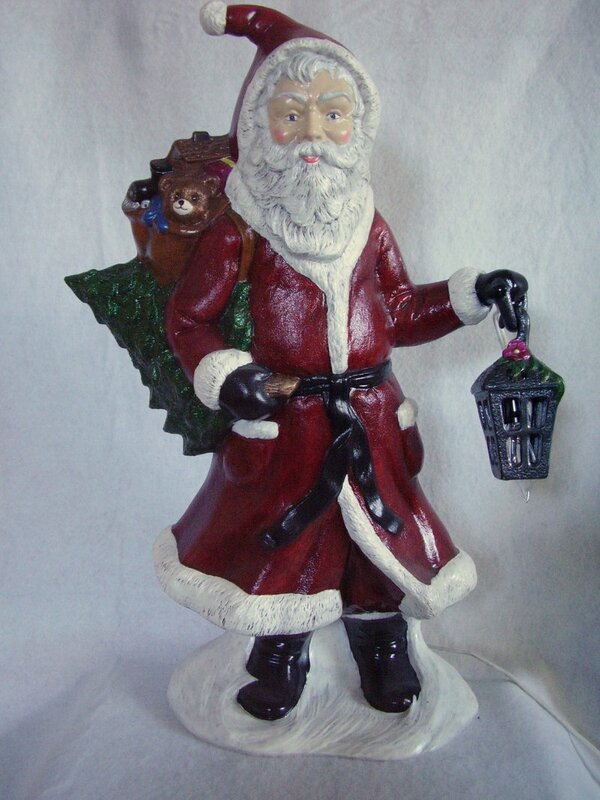 Father Christmas measures 20 inches tall x 13 inches wide x 6 inches deep and a hefty weighs 7 pounds. Bottom is covered in white felt which shows minimal wear from being moved around. Gently used condition with no chips or cracks. 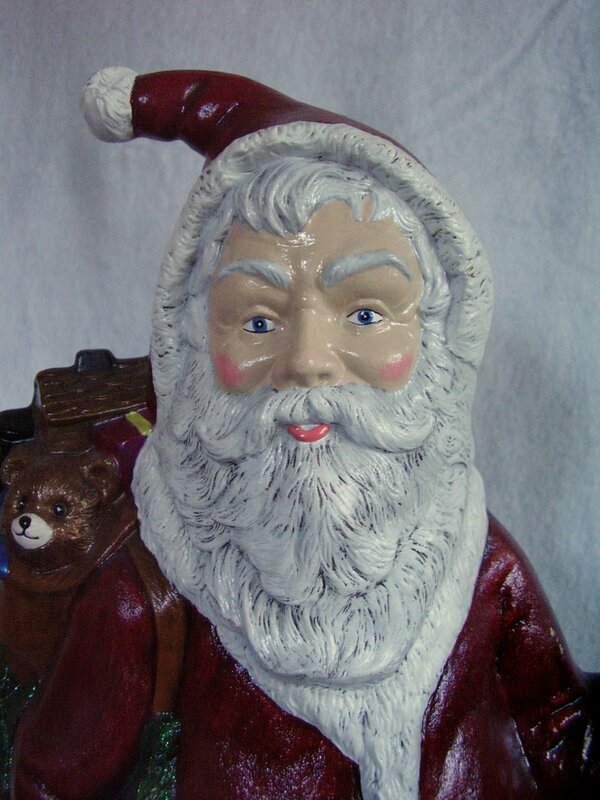 There are a couple of very minimal spots of paint loss which could be easily touched up. 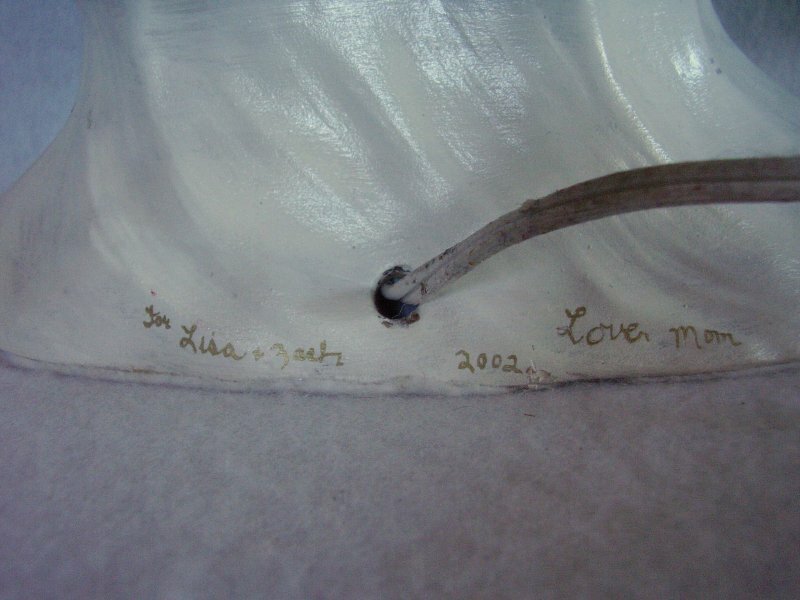 Believe this was made in a ceramics class as it has a tiny inscription in gold on the back that reads for Lisa and Zach 2002 love mom.